Heritage is very important to us here at Nell’s Farmhouse. Since we opened our doors in 2006 we have been welcoming people onto our farm and have shared our knowledge of times gone by with them. We have worked with the Heritage Council over the years and have particularly been involved with Heritage Week which has been a great success. Last year we won the “Most Interactive Event” category for our re-enactment of a traditional wake. 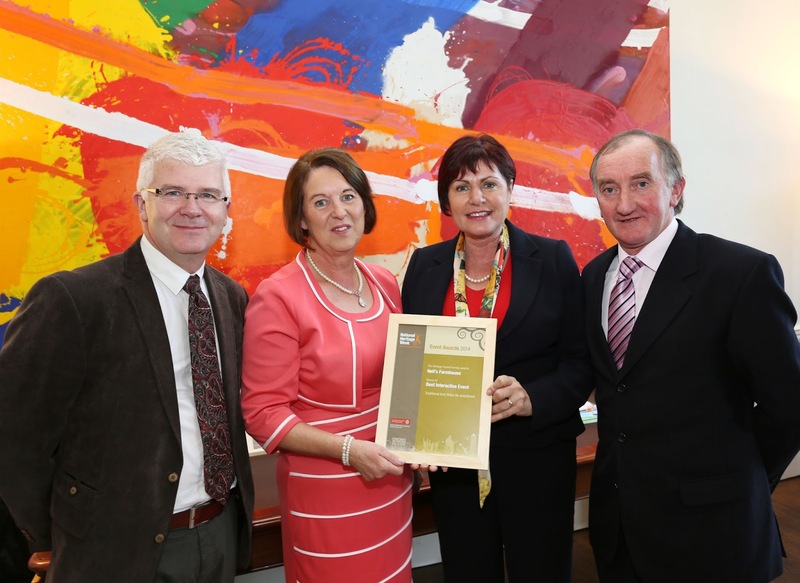 We were delighted to accept this award from Conor Newman, Chairman of the Heritage Council and Ann Phelan TD and Minister of State for Rural Affairs at the Department of Agriculture, Food and the Marine. Following on from our big win we were invited to speak at a training day for heritage week event organizers. This took place in Dublin Castle on the 9th of April. Along with some other event holders we presented our idea to the audience. We really had a great day in the big smoke and we enjoyed chatting to everyone we met there. We came back to Nell’s full of new ideas for the year ahead. At the end of May we couldn’t believe our luck when the post man delivered an invitation to the Heritage Councils 20th birthday celebrations in Kilkenny. Our president and founder of the Heritage Council was going to be in attendance and make a speech. We accepted the invite in a heartbeat. On the day we listened to a beautiful address from Michael D Higgins who had the vision to set up the Heritage Council through his capacity as minister for arts, culture and the Gaeltacht in 1995. The idea of the Heritage Council is to support local communities to promote within their area. 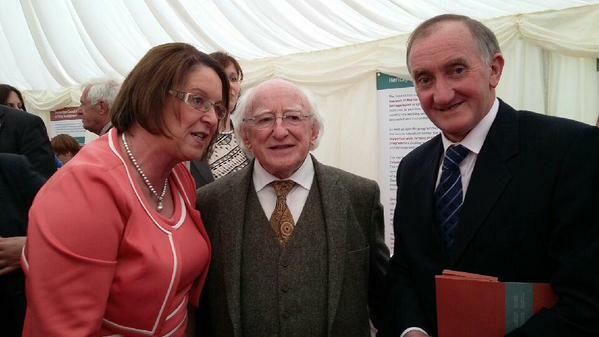 It was a great honour for us to meet President Higgins in person and have a little chat with him.